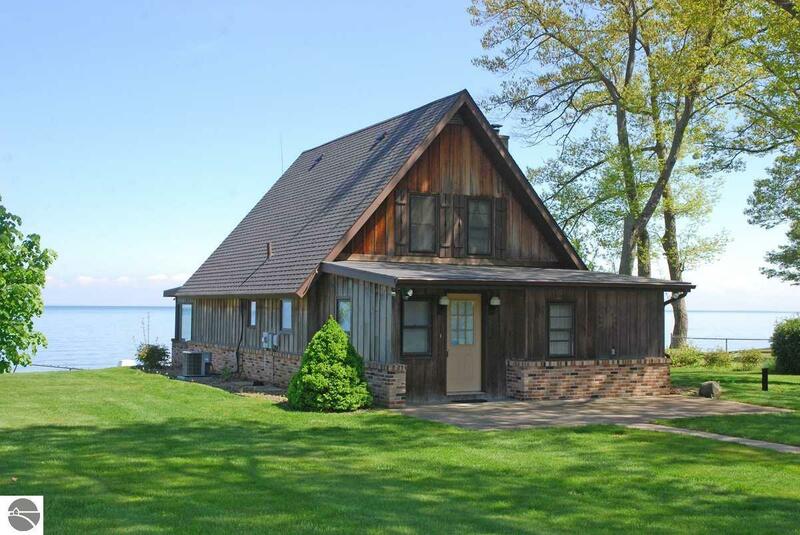 Located just south of Tawas on Lake Huron in the sought after area of Douglas Drive, this home home has great views. Watch the occasional lake freighter come in to load. The property has 100 feet of lake frontage with a very deep lot. There is an underground sprinkler system, a blacktop drive, 3 car garage and a garden shed. Inside the home there are 3 bedrooms, 1 and 1/2 baths, a full basement, lake side four season room and a mud/laundry room w/ a washtub. There are hardwood floors in the den and kitchen and a gas log fireplace. Even though it is hot water baseboard heat it also has central air. The home has a generator and alarm system. This home is priced to sell and a must see. Waterfront Details: Priv Frontage (Wtr Side), Bluff (less than 10ft), Great Lake, Stony Bottom, Yes, 100 Ft.